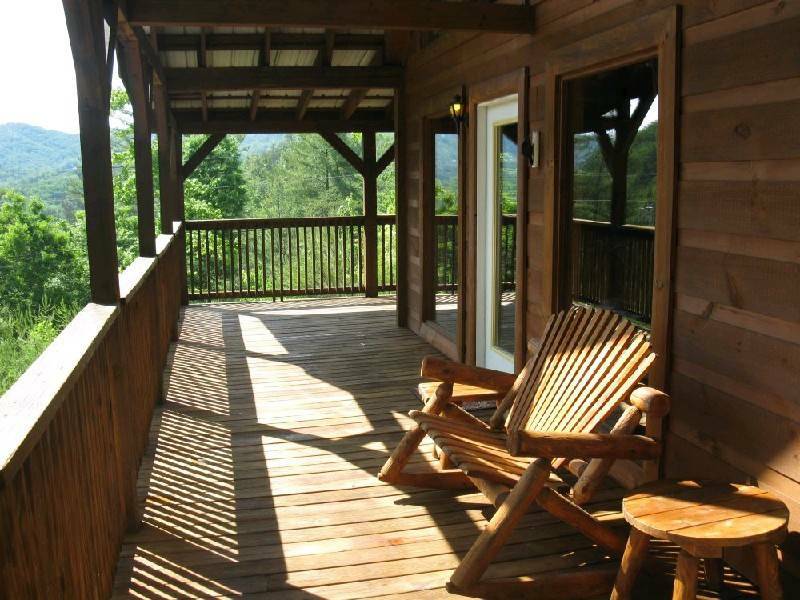 Mountain Breeze is a 2 bedroom and 2.5 bath private cabin. 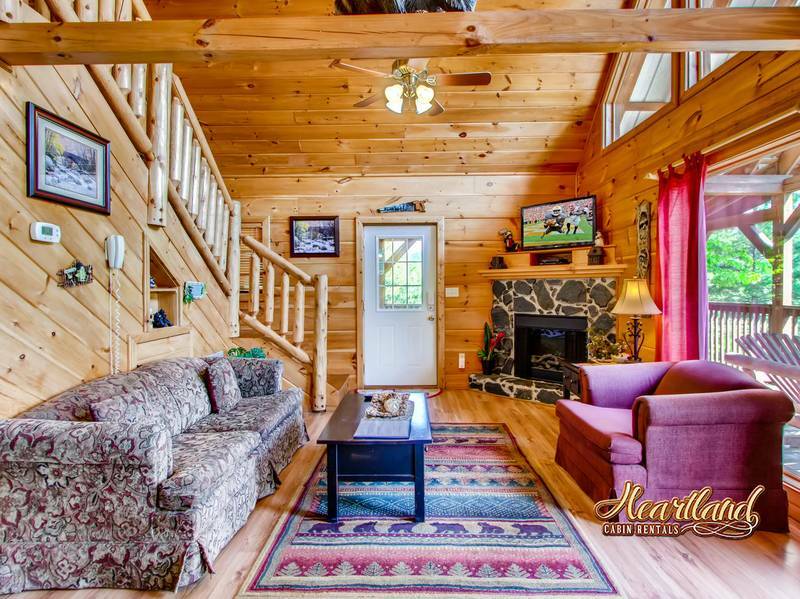 This Cabin is ideal for a family vacation or just a weekend getaway and is tucked away in the Great Smoky Mountains in a quite peaceful surrounding of the woods. The master bedroom has a king bed with jacuzzi tub, full bath and TV. The guest bedroom is a Queen bed with TV. Full kitchen, washer and dryer. The living room has TV, DVD player and a Electric Fireplace. Up stairs in the loft is the pool table, TV, wet bar, sleeper sofa and 2 kid hideaways for playing or sleeping or just to have fun in. 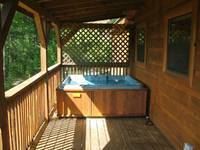 Outside on the covered deck for your enjoyment is a hot tub and charcoal grill with patio furniture. Mountain Breeze Cabin is a perfect romantic getaway for 2 or a great vacation cabin to bring the family to experience a Smoky Mountain Getaway! The owner is very friendly, place was clean and very cute! Will be back! The cabin met all our needs for space. The kids loved the pool table and the hot tub! The furnace was out our first night and when we called in the morning Heartland came out to the cabin within a half hour to address the issue. Wonderful service! Our family really enjoyed this cabin it was in very nice location & not to close to anyone (so we didn’t disturb anyone) but wasn’t to far away from town. Plenty big enough for all 6 of us. 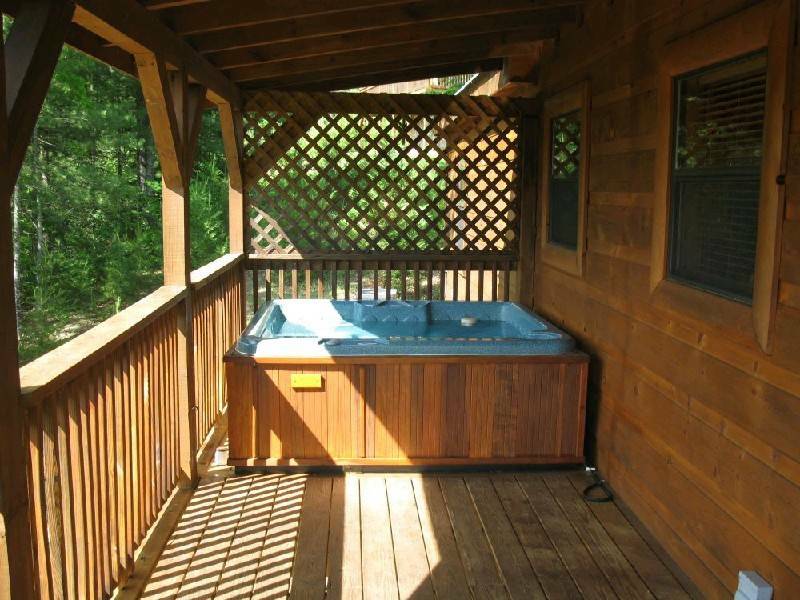 The only minor complaints is their isn’t enough lighting for the hot tub at night. But that’s it! 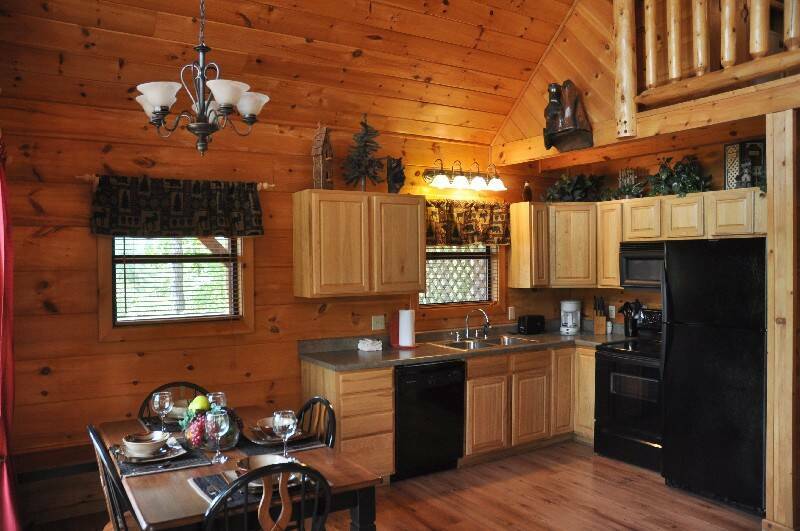 Highly recommended Heartland cabin rentals & this particular cabin. Our favorite was the room the loft has to play pool in. Mountain Breeze was absolutely perfect for our family. The views were amazing from the wrap around porch. Morning coffee watching the sun rise was the best. Our daughter and her family had one room, while my husband and I had the master. Our teenage son loved having his own space in the loft. They all enjoyed playing pool in the evenings after days exploring the park. Beautiful area, beautiful cabin, beautiful memories. The cabin was beautiful and the scenery was breathtaking. The interaction with heartland was very pleasant. We had a great weekend and will do it again. Comfortable and cozy in the beautiful mountains. We will come back another time and explore all the things we did not have time for this trip. We enjoyed our stay at the Mountain Breeze. The cabin was larger than pictured! It was clean and nicely decorated with a breathtaking view. 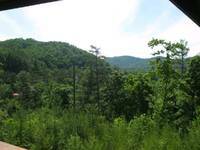 It was the perfect location for visiting Gatlinburg and/or Pigeon Forge. The hot tub was a family favorite, but the jacuzzi tub was a disappointment, since it didn't plug correctly. The best part of the cabin was that there were two kittens that would come to visit. My kids couldn't have been happier! They were a sweet addition to our vacation! The pictures online didn’t do the cabin justice. It was beautiful scenery, peaceful, and just all around pleased with our stay. Will definitely be coming back in the future. The cabin was very nice it fit our needs perfectly. The location was great. Thanks for a wonderful stay my family and I had a wonderful time. We had a great weekend at this cabin. I will say the pictures are somewhat outdated, there is actually flat screens in every room but 1. Its very relaxing and quiet. Nice location right between Gatlinburg and Pigeon Forge. The cabin was beautiful! The main bathroom door lock needing to be fixed. We would stay there again it was very relaxing and a wonderful getaway! 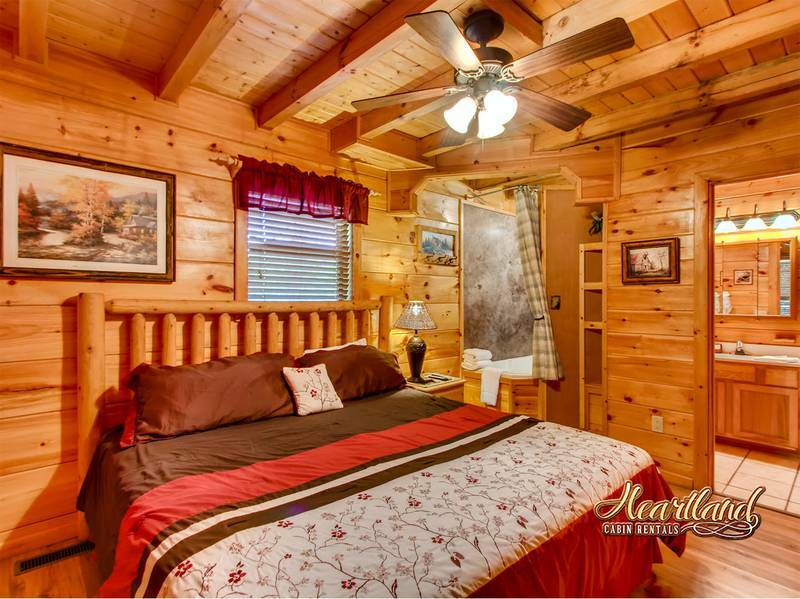 Beautiful and comfortable cabin with great service and a amazing view. We enjoyed the cabin so much we decided to stay in one day instead of venture out. The amenities were fun and relaxing and the little cubby holes were a big hit with our little ones. 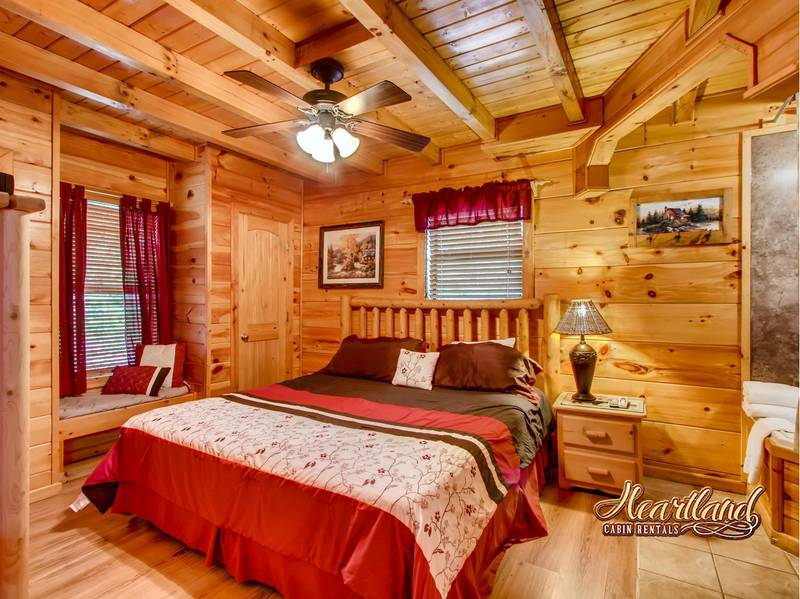 We are in love with this cabin and will definitely be staying again in the future. The staff was extremely friendly and made us feel very willing to make our stay as awesome as they could make it. We loved staying at this cabin and plan to visit again. It was very private and met all of our needs. 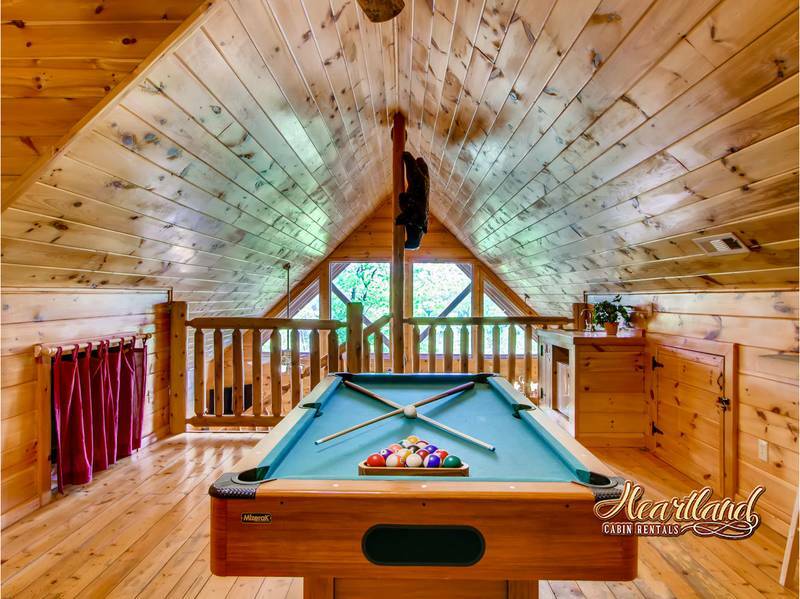 The pool table and hot tub were an added bonus. I wish we could've stayed longer..
We are very pleased with Heartland Cabin Rentals, we will only rent from you guys from here on out.. thank you for such wonderful service! 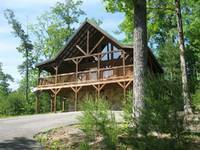 Great cabin & great semi-secluded location! Short drive to Gatlingburg. Would recommend company & would book again! The cabin was clean and nice. My husband and I are newlyweds, and we chose to visit Gatlinburg for our honeymoon. 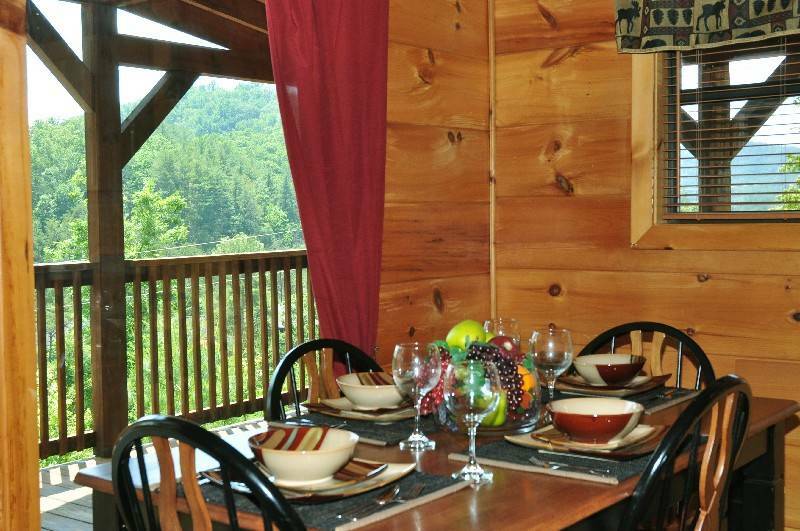 This cabin was our number one choice, and we were so glad to have picked It! The size is perfect, the kitchen has all the cooking tools you could ever need (including a blender), washer and dryer, comfy beds, and cozy atmosphere. We woke up every day and sat in the Adirondack Chairs. When we returned from our adventures, we relaxed in the giant hot tub. 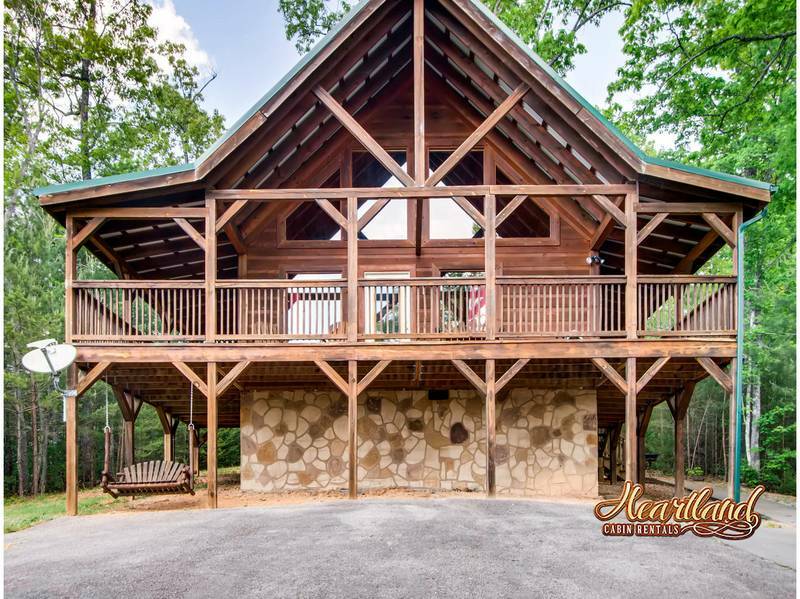 Location is secluded, close to Arts and Crafts road, and only a 20 min drive each direction to Gatlinburg and pigeon forge. Definitely take advantage of the discount pass given at check-in. Office staff very friendly, even called to see if we got there safely and if it was to our liking. We will return! Thank you! Great for our family with three young children. The cabin was perfect for our three young children. The two oldest had fun playing pool and hiding in the cubbies upstairs. The cabin was awesome the customer service was extremely awesome I definitely will be staying with you guys again bringing family friends and recommending them as well!!! 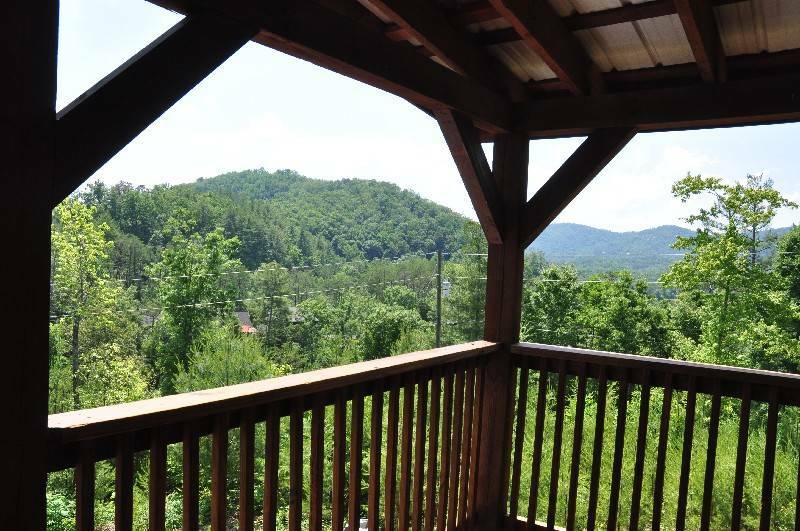 This cabin has beautiful mountain views and is very serene and peaceful. The cabin itself is very nice. This is our second stay in this cabin and we will most definitely return. I give Mountain Breeze 5 stars. Very nice cabin, very friendly and helpful staff. Our boys (age 6 and 9) loved the sleep cubbies! Perfect for our family of 5! Would definitely use Heartland Rentals again! Stayed at the Mtn. Breeze with my wife and kids. Cabin was about 15 minutes from Pigeon Forge and about the same to Gatlinburg. Cabin was very clean and had everything we needed. Kids enjoyed the hot tub too! 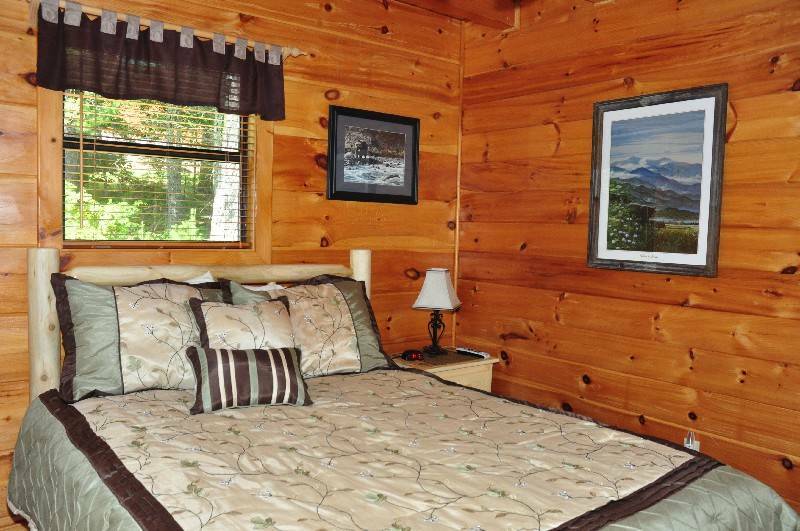 The cabin was just as described, and the staff at the offices (Renee) was great. Perfect for our family of four we had a great time for our first family vacation to the mountains, thank you Heartland Cabins. This was exactly what we wanted! Secluded with gorgeous views, but close to shops and activities. Kids loved the loft and pool table and we all loved the hot tub. The cabin was very clean and had everything we needed. 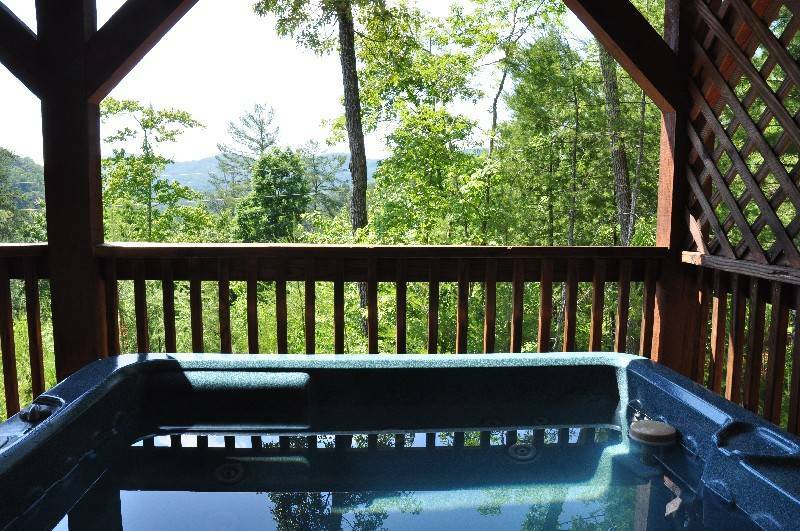 Loved the cabin, it was private, nice view, had everything we needed, no complaints! My family enjoyed it very much can't wait to go back! Beautiful cabin and will be back! Staff was very nice and knowledgeable. No problems at all. We had a perfect time. We were looking to get away to a cabin with a mountain view. 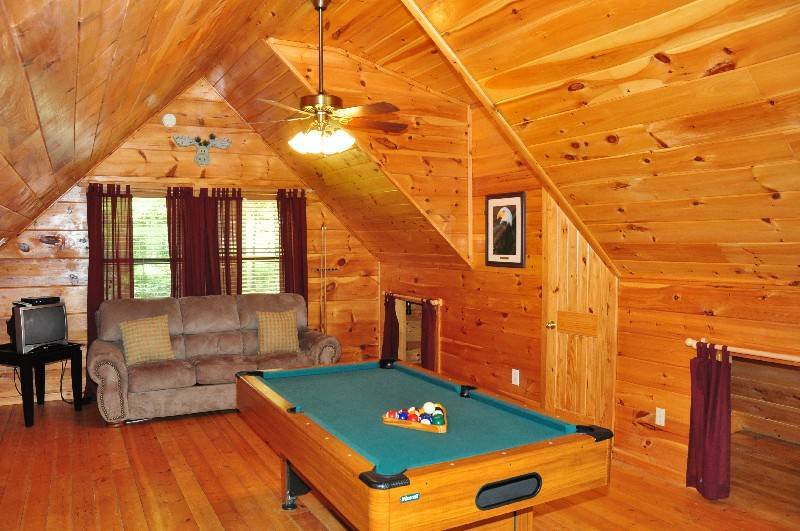 We wanted seclusion, a hot tub and a pool table. We got we were looking for!! 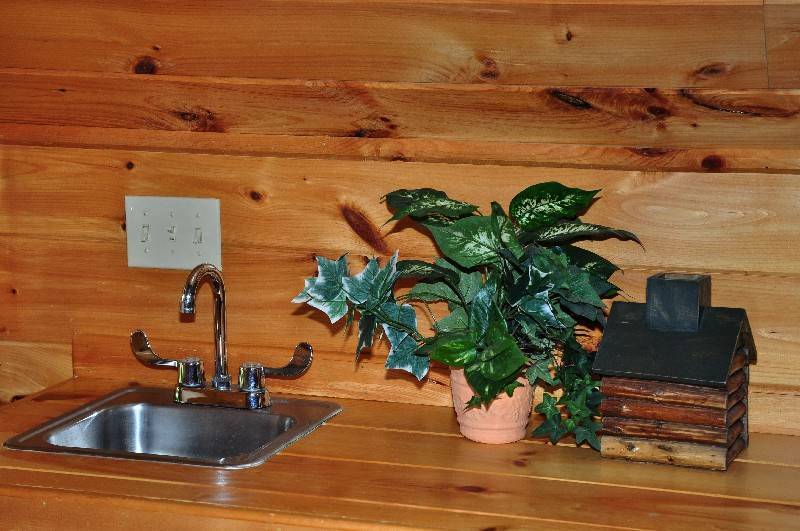 Lots of quaint touches to the cabin. Fully stocked kitchen, linens and kind service at the office! We did not use the gateway to fun passes as we were not looking for shows, etc... But for other families this will be a nice added bonus! Everything was great. I really appreciated that there were mattresses in the cubbies for my big kids. Thank you we will come again! Our stay was very relaxing and was able to accommodate all of our needs! Mountain Breeze was perfect for the type of vacation we took. The cabin was clean and well supplied for the 4 days that we stayed. The adults enjoyed relaxing in the hot tub and jacuzzi and the kids loved having the pool table. I loved the quietness of being up in the mountains, and if we wanted to go do some shopping we didn't have to drive that far! I had a great time because the staff was excellent and they stand by their word. We really enjoyed every moment of our stay. The location and cabin far exceeded our expectations. The staff was warm and friendly. We have shared our pics and recommended Heartland Rentals to all of our friends. Thanks again for wonderful memories. This was a very awesome cabin and very awesome stay. This was a very awesome cabin and very awesome stay. I have never stayed in a cabin before. This was my first one. Everything was very neat clean very good directions very good staff to talk to very kind everything was just excellent. Can't say enough about how neat and clean and everything is there that you need everything. Would highly recommend this cabin to anyone. The cabin was plenty big for us, great view and easy to find. Hot tub was great for those chilly mornings. The cabin was just what we wanted. Close to town but still private. Everything was very clean and nice! The staff was very friendly and helpful in accomodating a last minute trip and late arrival. We had a WONDERFUL stay at Mountain Breeze!!! Heartland Rentals saved our weekend by finding us a cabin at the last minute due to pipes being frozen in the house we had rented through another company. The staff was so sweet and helpful. The cabin was beautiful, clean and everything we wanted. Thank you Heartland Rentals! You will be the ones we call for our next reservation!! The mountain breeze cabin was just perfect! Everything was clean and spacious! We would definitely return!